The ugly side of decor is that no matter how thoroughly you have planned the remodeling project to the last detail, there are some common remodeling problems that may still occur. 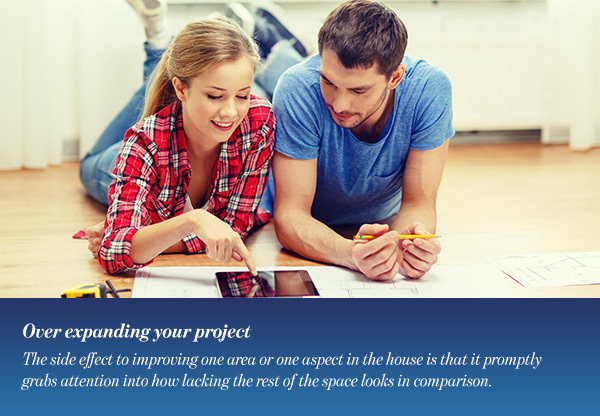 Familiarizing yourself with those remodeling problems may help you side step them though. So here are the most common remodeling problems that happen when going through a renovation project, and also some helpful tips on how to overcome them. Here is how to side step the ugly side of decor and overcome the most common remodeling problems. Sometimes you decide to start a simple project, like renovating your shabby kitchen floor, and then after you start seeing results you decide that maybe getting new cabinets is not such a bad idea, and probably some shiny new appliances, and before you know it you are up for a complete kitchen remodel! Or, you decide to remodel the guest bathroom, and Baam! You like it so much you want to update all the other bathrooms in the house! The side effect to improving one area or one aspect in the house is that it promptly grabs attention into how lacking the rest of the space looks in comparison. So you start thinking maybe you can get it all done and decorate the house at once and get it all over with. Nonetheless, expanding the project means expanding your budget as well, and probably expanding your schedule and your time frame. While expanding might be okay, over expanding never is! It is one of the most common remodeling problem. Doing several jobs at once might be more cost-effective than doing a lot of smaller, separate jobs at different times. But you need to ask yourself these questions: Are the extra cost and extra time worth it? Is the extra work really essential? The antidote to this common remodeling problem is keeping things in perspective. Consider your budget. It is always advisable to keep your budget in check and not get too carried away. 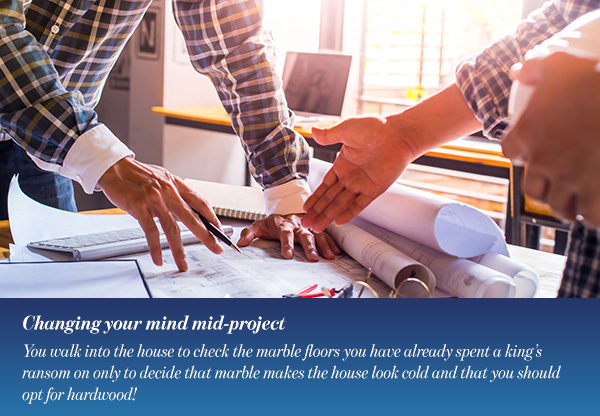 Keep in mind that even the smallest project usually requires some extra cost that was not in the budget, so increasing projects will expand your budget more than you think. It is also a good idea to practice acceptance. Remodeling can be an endless task. Unless your house is brand new, it is less likely that all areas in the house will look freshly decorated. So as long as it looks good, leave well enough alone! You walk into the house to check the marble floors you have already spent a king’s ransom on only to decide that marble makes the house look cold and that you should opt for hardwood! Or, you wake up one day to decide that the costume made kitchen cabinets are all wrong and you want to go another direction. Changing your mind is only natural, and doubting your choices is human. It does not constitute a problem if you do it early on in the remodeling stage. It might be better to do so early rather than live with regrets for years to come. Nonetheless, changing your mind a lot, or too far into the renovation project is certainly going to be very costly and might cause you to ruin or change other aspects of the remodel as well. That is why it is one of the most common remodeling problems, and might be the hardest to overcome. The antidote to this side effect is to conduct a thorough research before you start the works. This means researching materials, colors, products and dimensions. It never hurts to consult an expert as well, even if it is just on the phone or by email. Moreover, you should brief your contractors carefully and double-check all details with them before they start working to make sure everyone is on the same page. The project is taking way too long because a lot of the men are late or take way too many days off. Or maybe the work is going according to schedule but not according to your standards. And you find it difficult to reach your contractor to discuss those problems. Even though construction problems are bound to appear at one point or another during a major project, you should never settle for anything less than stellar work. 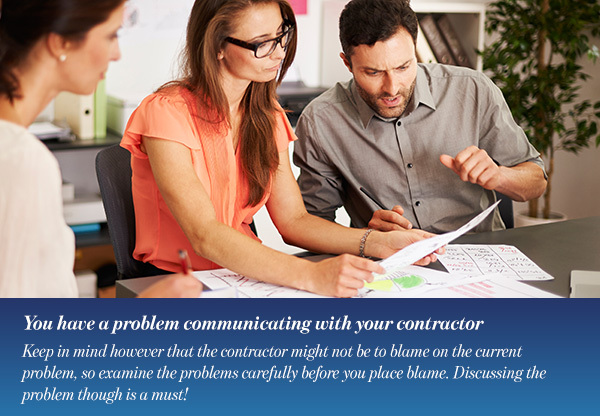 Keep in mind however that the contractor might not be to blame on the current problem, so examine the problems carefully before you place blame. Discussing the problem though is a must! The antidote to this side effect is to first research the contractor well before you hire the company or the person for the job. And also to keep an eye on the work: Is it going according to schedule? Does everything look good? You can always talk to them and get everything back on track if you detect the problem early on in the process. The best thing to avoid this common remodeling problem, get the results you want, and keep you and your contractor happy throughout the project is frequent and effective communication. So make it a point to talk to them every day to discuss what is going on. Do you have a clear understanding of the process? Of what you will have to live with and what you will have to live without for the foreseeable future? This means understanding all the invisible work that might be involved as well. If you want to move your stove under the window for example this does not just mean changing your kitchen layout, but also includes gas lines and electrical wiring and maybe some of those will require working on some walls. 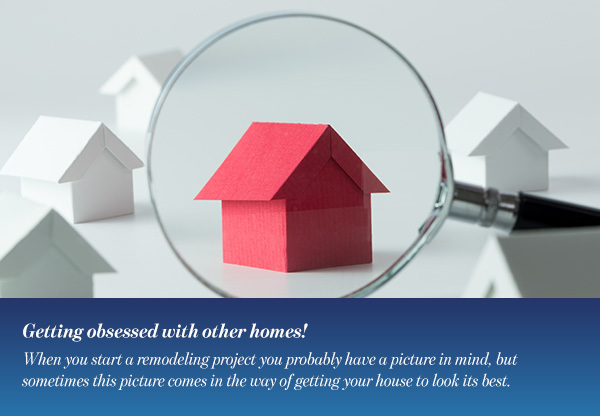 Not having a clear pictures causes a lot of common remodeling problems. This includes not having a clear plan and a fixed budget. The antidote to this side effect is having a detailed plan with your contractor, and understanding every step along this plan. 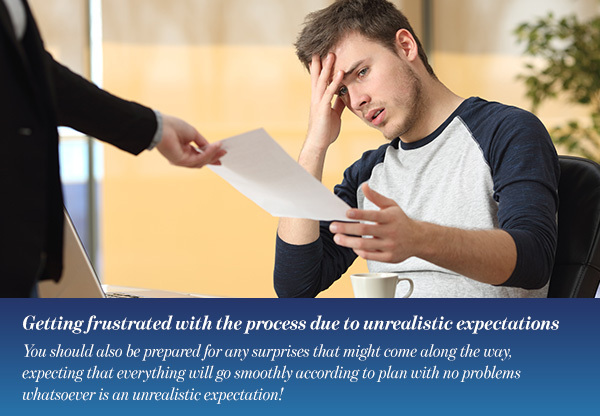 You should also be prepared for any surprises that might come along the way, expecting that everything will go smoothly according to plan with no problems whatsoever is an unrealistic expectation! 5. Getting obsessed with other homes! When you start a remodeling project you probably have a picture in mind, but sometimes this picture comes in the way of getting your house to look its best. Sometimes you have this fixed image of a room in a catalogue, or a room in a friend’s house and you want to duplicate that image in your place. This will probably turn into a very frustrating process! You may not think so, but it is one of the most common remodeling problems. The antidote to this side effect is to understand that every house is different and every room is different. This is not a show room or a TV set, this is your home, focus on achieving its potential instead. Discuss the style and look you want with your interior designer and see how it can be altered to fit your space. Home Improvement Self-Sustaining Homes: How to turn your house into one?